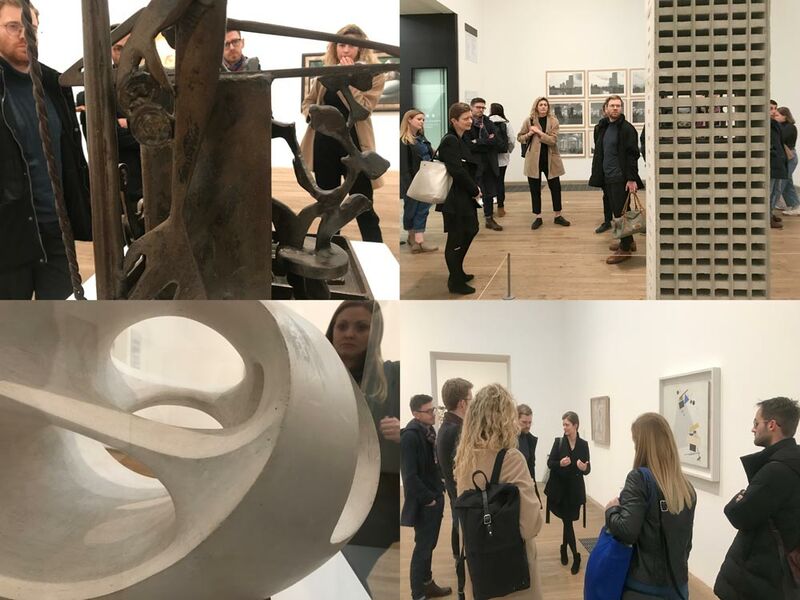 Many thanks to Dr Caroline Levitt who led us on a gallery tour last night of The Tate Modern. Really insightful. This was followed by drinks at Flat Iron Square where Amy and Tom, joining us soon, had a chance to meet the team. Also insightful. The Architecture MArch at The Bartlett, UCL has an international reputation for encouraging a rigorous professional approach to architecture within a highly creative context. This year the Fathom team are tutoring the Design Realisation module for Unit 20. The Unit, which is led by Marjan Colletti and Javier Ruiz, focuses on Post-Digital Practices. Following a field trip to California, students have selected various sites from the LA waterfront to abandoned underground military compounds. Project briefs range from algae farms to underwater astronaut training facilities. The Unit is privileged to be also supported by Structural engineers Atelier One and Environmental Engineers Atelier Ten. 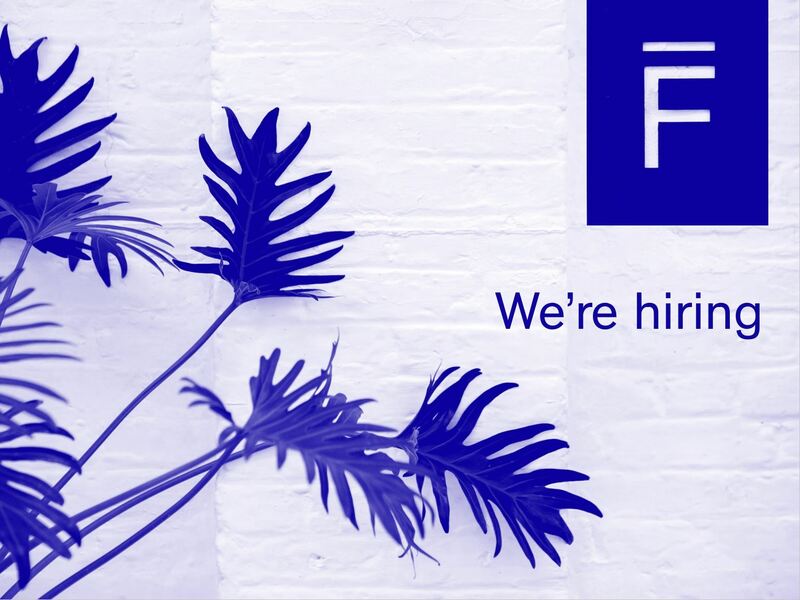 We’re looking for a post-part II Architectural Assistant and a recently qualified Architect. Creative and confident, with a good working knowledge of Revit and/or AutoCAD and experience of projects at both planning and detail design stage in the UK. 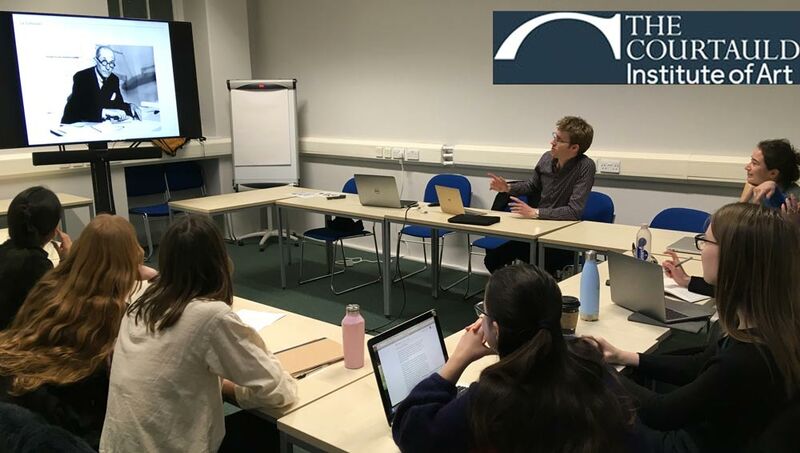 Jonathan joined students of The Courtauld Institute and Dr Caroline Levitt to share his thoughts on Le Corbusier and some of Fathom’s recent work. The students are studying for a BA in Art History and Jonathan was reminded that Corb’s work and influence spread well beyond architecture, which is something we are keen to do at Fathom. 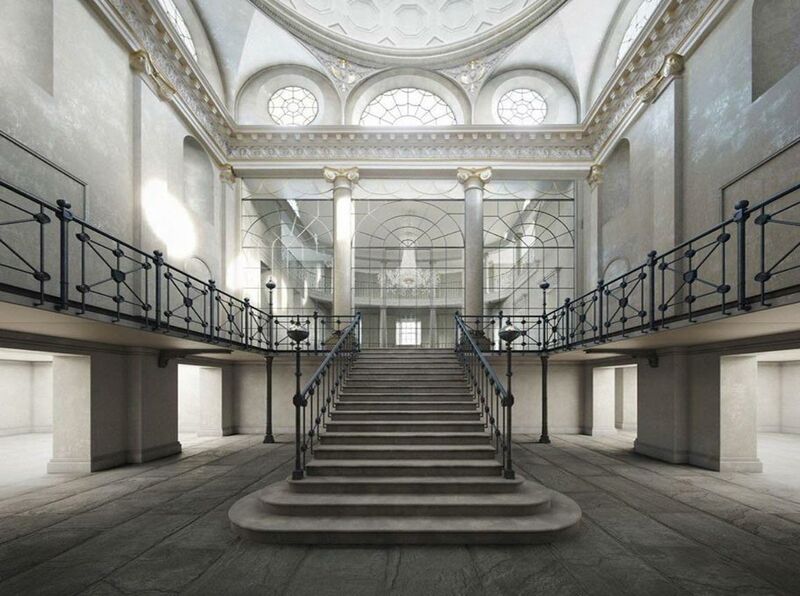 The Courtauld have recently relocated to Veron Square in Kings Cross whilst Somerset House is renovated to provide improved facilities for this world leading institution. Harry Godfrey and Yiping Zhu present Autonomous Landscapes: a beautiful exhibition of photographs and films documenting the life and impending urban change of two self-built Buddhist academies in the Tibetan Autonomous Prefecture, shortly before their doors were closed permanently to foreigners. The pair were able to capture this rare moment in time of dramatic resettlement. 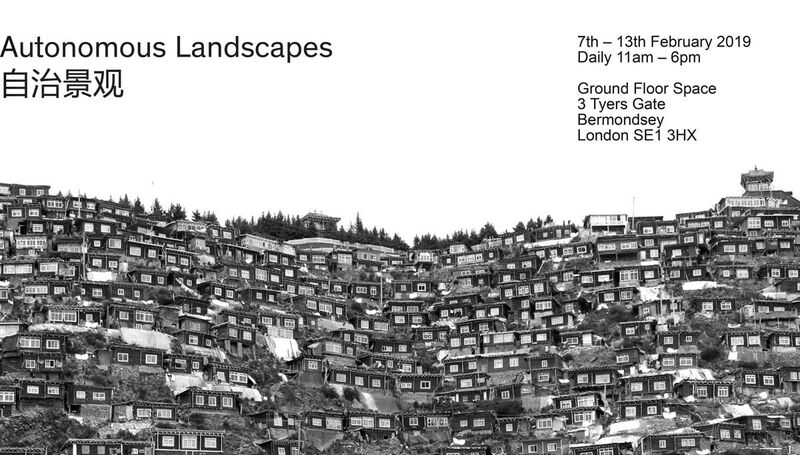 The exhibition runs daily from February 7-13 (11am-6pm) and is on at dn&co’s Ground Floor Space in Bermondsey, London. Following the success of our ceramic grotesque last year, we were keen to try our hand at another collective artwork. Under the careful eye of talented illustrator Kaylene Alder, for an afternoon the Fathom studio was turned into a lino-cut printing studio. 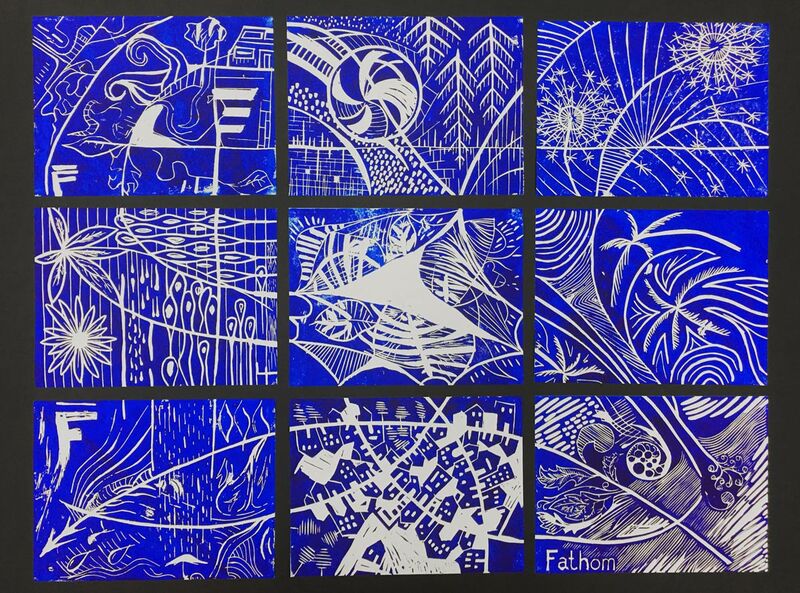 Inspired by natural forms, laughter and with all our fingers intact (nearly), the result of our labours was combined into a Fathom festive polyptych. This was followed by a great evening out in Peckham, where Rich secured best Secret Santa, Harry was crowned fussball champion and Fred nearly won (but didn’t). 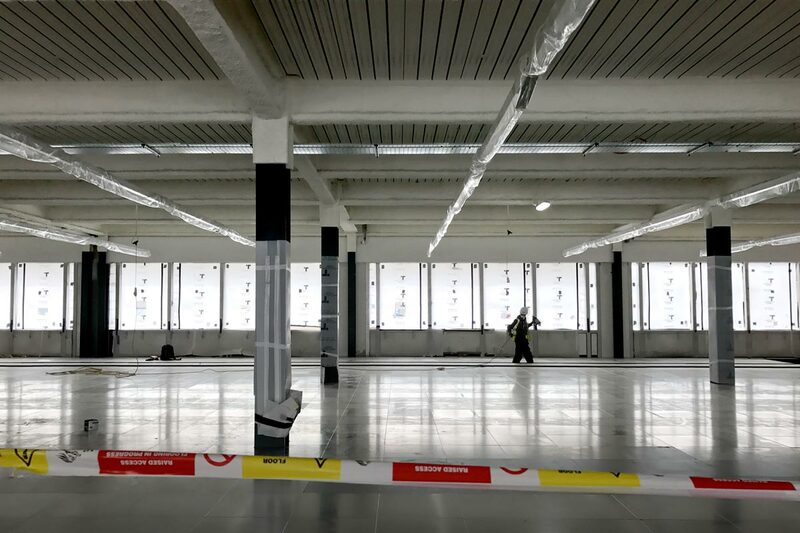 The 1st phase of works has finished at The Rotunda, White City Place for Stanhope & HQI, creating an incubator space for emerging artists and musicians. 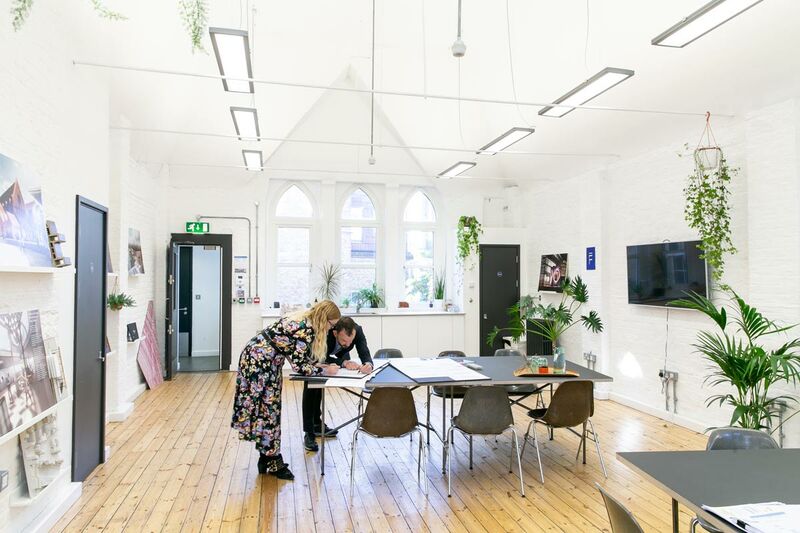 The ground floor includes co-working and amenities, whilst the dynamic and versatile upstairs space plays host to live performances, rehearsals and installations. The plan for phase 2 is to install recording studios on the 1st floor. A stripped back, but calm aesthetic reflects the new tenant’s values. 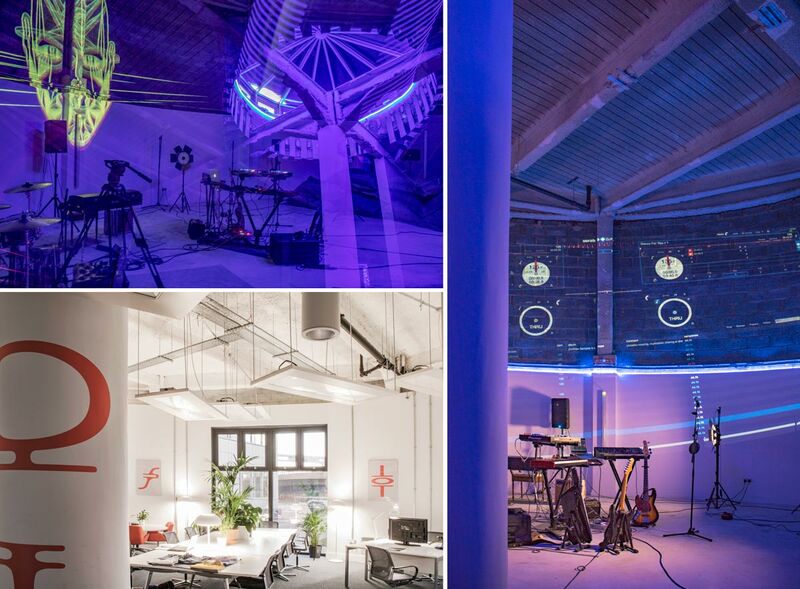 Project architect Harry completed his post-occupancy review, bagging an invite to a private gig at the same time. This year, Justin sat on the judging panel for Higher Education Project of Year, visiting five shortlisted projects across the UK. The winner, announced at the prestigious awards ceremony on 4 December, was The Royal Academy of Music – Theatre and New Recital Hall. Congratulations to Ian Ritchie Architects on an immaculately detailed building. 71 sites designed and built by 71 different architects, coming together to form a sugar-coated view of the future city. Collaborating with Graphic Structures, Fathom explored a subterranean collective, focusing on high-density living and maximizing green spaces for its inhabitants. 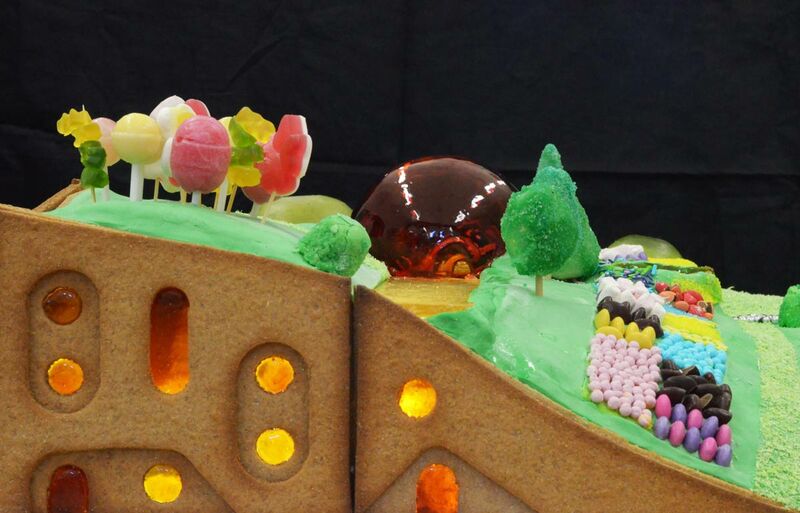 The result features a reinterpretation of a traditional gingerbread terrace, undulating candy landscape and is lit by a sugar dome roof. The installation, curated by the Museum of Architecture and featured in The Evening Standard, is open 8 Dec – 6 Jan at V&A Museum. 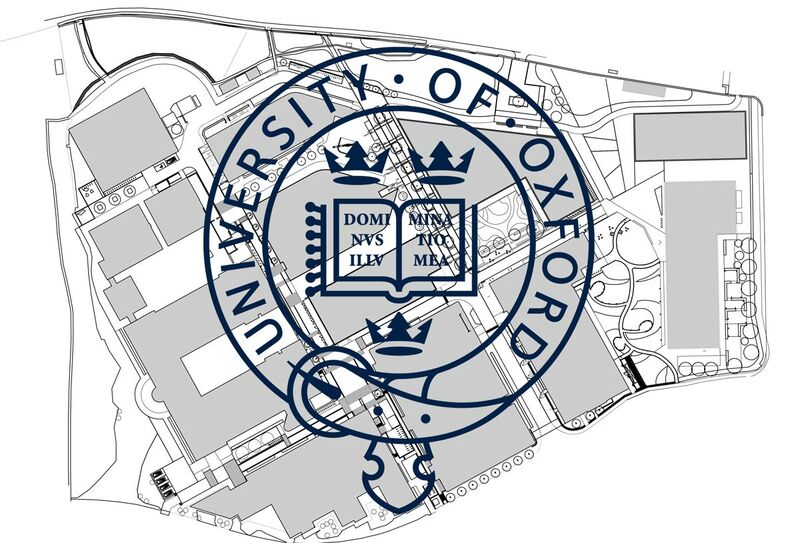 Fathom Architects, together with laboratory specialists NovoSpace, have been appointed to develop plans to extend medical science facilities for University of Oxford at Old Road Campus, Oxford – Fathom’s third appointment with the university since our launch. Today pharmaceuticals giant Novartis announced it is relocating it’s UK HQ to Westworks, White City Place, which it considers to be London’s latest life sciences cluster. Following Fathom’s viability report earlier this year, which explored options for accommodating medical science in Westworks, including Category Two labs, Mitsui Fudosan and Stanhope have secured several exciting technology and innovation companies, including biotechs Autolus and Synthace – Novartis is the latest and biggest. We were able to draw on years of experience working with University of Oxford medical sciences to quickly flush out efficient and attractive options for potential tenants – good to see it has been useful. 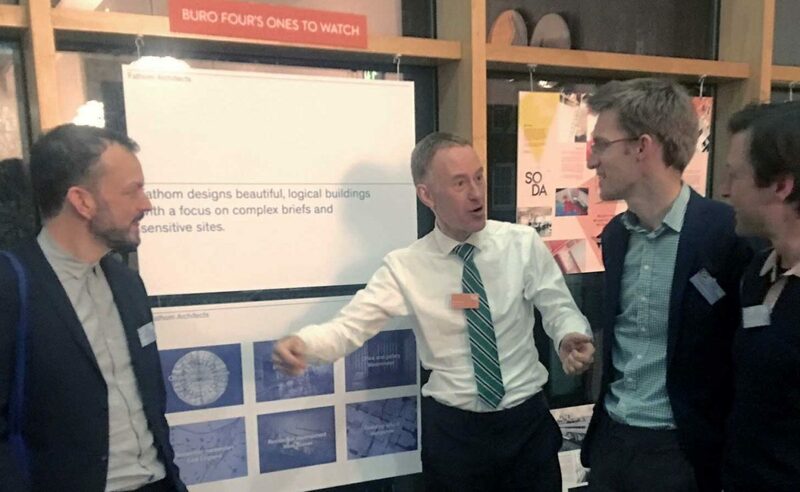 Last night Tom shared some of our architectural ideas and research at a round table of trend forecasters, writers and designers, hosted by Hoxton Hotel owners, Ennismore. The discussion revolved around the future use of public-private spaces, exploring the needs and wants of the digital nomad generation. Thanks to Philippa Wagner for an interesting evening. Many thanks to photographer Steve Howse, who has made time between commercial shoots to take our new studio photos and portraits. Justin was asked by the RIBA Journal to write about some of our favourite products. 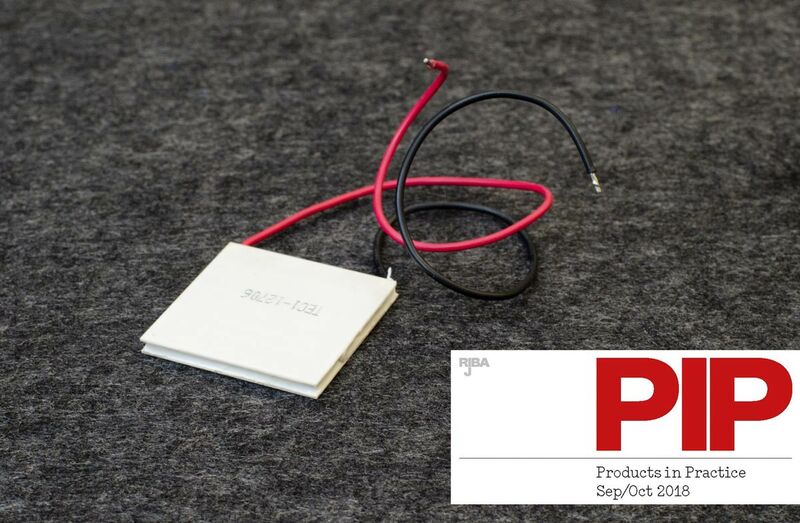 Selected items varied from the traditional simplicity of the white tile, the digital Dycal printing borrowed from the advertising industry and used in our Pod and the high-tech thermoelectric cooling plate (illustrated) – when a current passes through it, one side gets very hot, the other side very cold. Click here for full article (p54). Fathom will be at the church on Thursday 25th and Saturday 27th October hosting a public exhibition of our proposals to remodel and extend this prominent listed building in the heart of Woking. 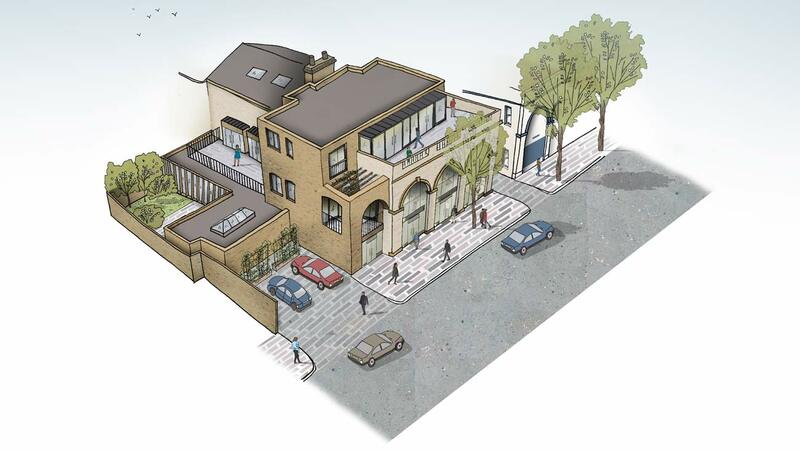 The scheme will open up the church and provide much needed space for the congregation and local community. After gathering the public’s views, a planning submission will be made in the New Year. 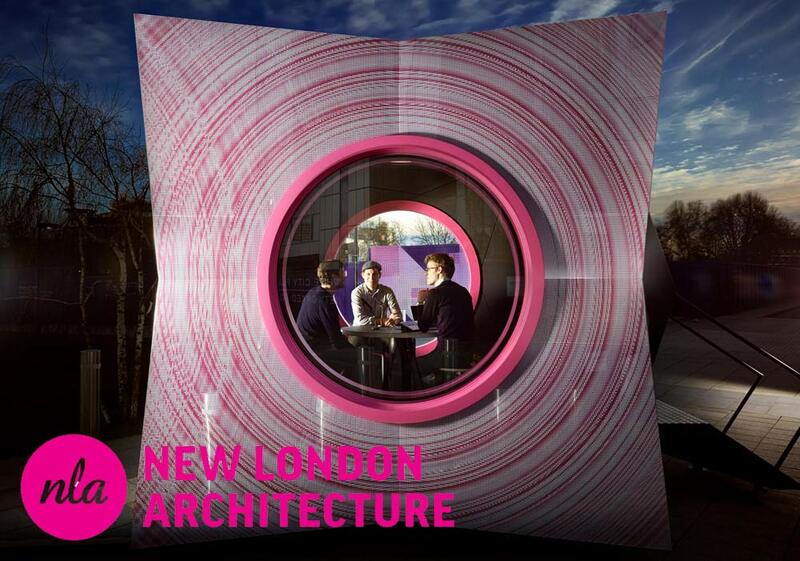 Planning your London Design Festival? 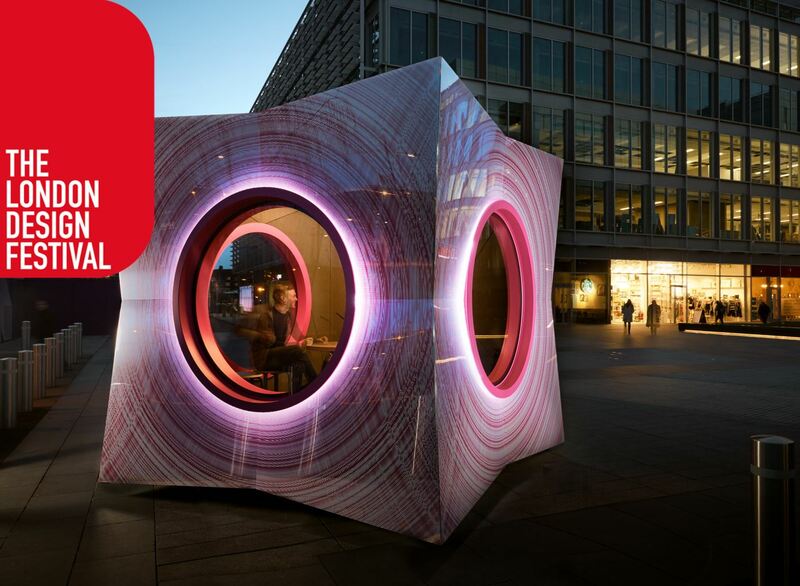 Don’t miss The Pod, our mobile recording studio, which will be on Exhibition Road, South Kensington as part of the Brompton Design District and an exhibition on digital design. Dates Saturday 22nd and Sunday the 23rd of September. Further information on Design, Design and Event. 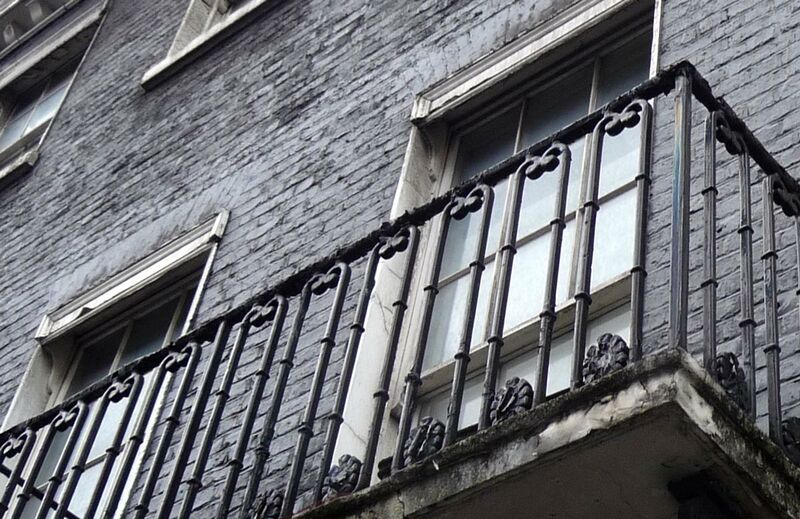 Fathom have been appointed to refurbish and extend a Grade Two listed townhouse in Queen Street, Mayfair. Our brief is to create state-of-the art office space, embracing future working needs and including fully accessible floors, new terraces and improved daylighting. 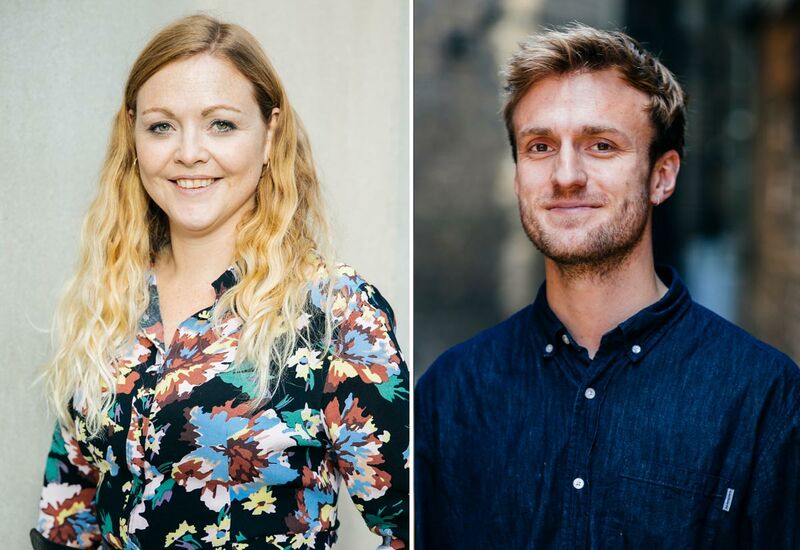 A warm welcome to Rebecca Thomas and Fred Bosson, who join the team this month. Becky’s experience adds breadth to our senior team, especially leading large schemes to planning. She first began working with Justin & Jonathan in 2008 and has collaborated with them on projects for University of Oxford and St James’s Market for The Crown Estate. Freddie joins us fresh from University of Greenwich, where he has just completed his MArch, gaining a Distinction for his Obsyddian Archive: a research project exploring modern building and manufacturing techniques using this beautiful but primitive metamorphic material. 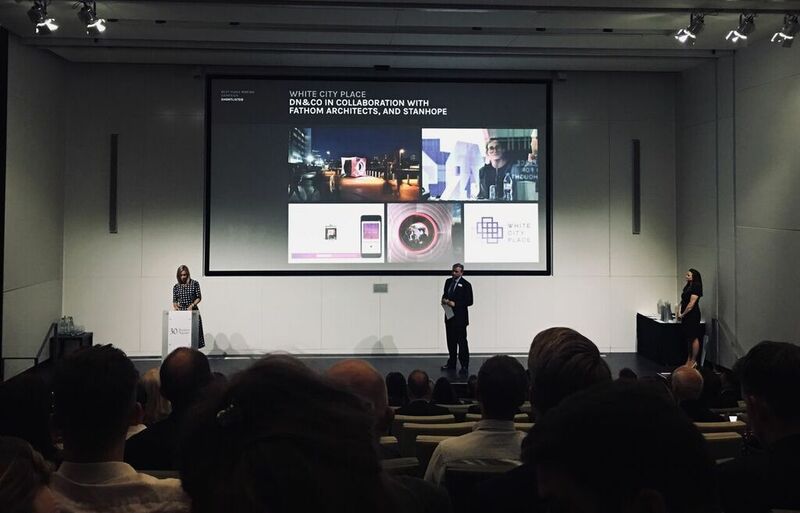 At last night’s Property Marketing Awards presented by journalist and broadcaster, Sophie Haworth, dn&co, Stanhope and Fathom were rewarded for the inventive concept and design of this striking podcast studio at White City Place. Judges particularly liked that our design was simultaneously futuristic, functional and spoke to the site’s BBC heritage. A great team effort. 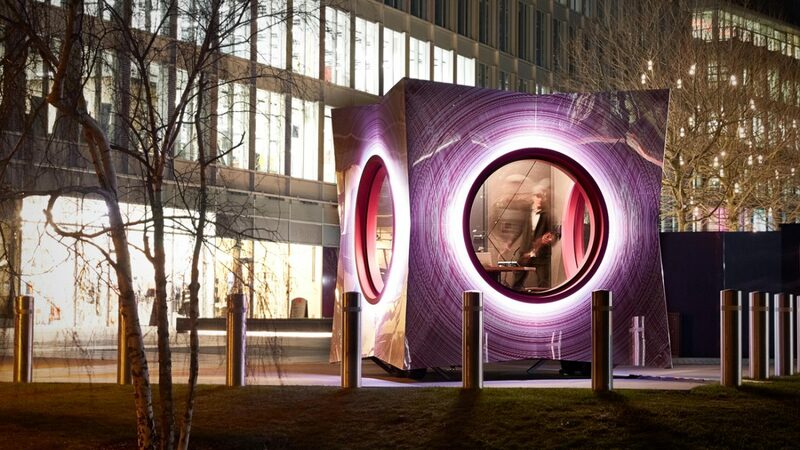 Since its launch, The Pod has featured in several international publications including Wallpaper, Design Week and Creative Review, been shortlisted for a NLA award, featured in RIBA J Public Realm 2018, been shortlisted for 3 Property Marketing Awards and has now won PMA Best Creative Element 2018. The Pod at White City Place has been nominated for three awards at this week’s Property Marketing Awards: Best Marketing Campaign, London Offices, Best Place-Making Marketing Campaign and Best Creative Element. 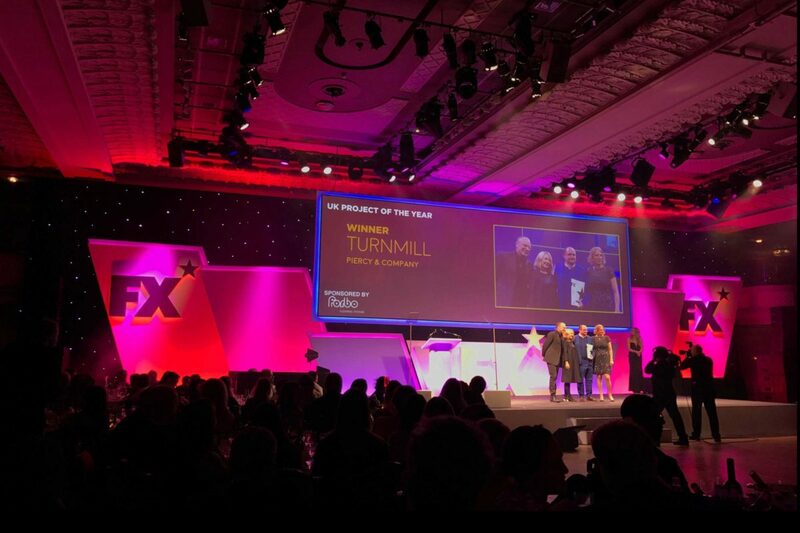 Organised by the Worshipful Company of Chartered Surveyors, the annual awards celebrate the most talked about marketing campaigns in UK real estate. For the full shortlist, click here. 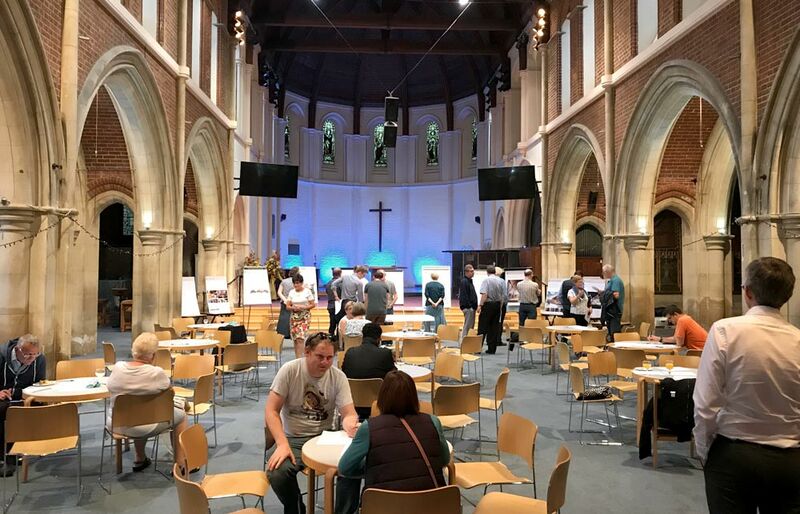 Over 130 members of the Christ Church Woking congregation attended two consultation evenings to view Fathom’s proposal to reorder and expand their grade two listed church. Following a successful consultation with Historic England we took over the nave with exhibition boards, drawings, questionnaires and the obligatory cheese and wine. Next steps are public consultation and a planning submission later this summer. For more details, click here. 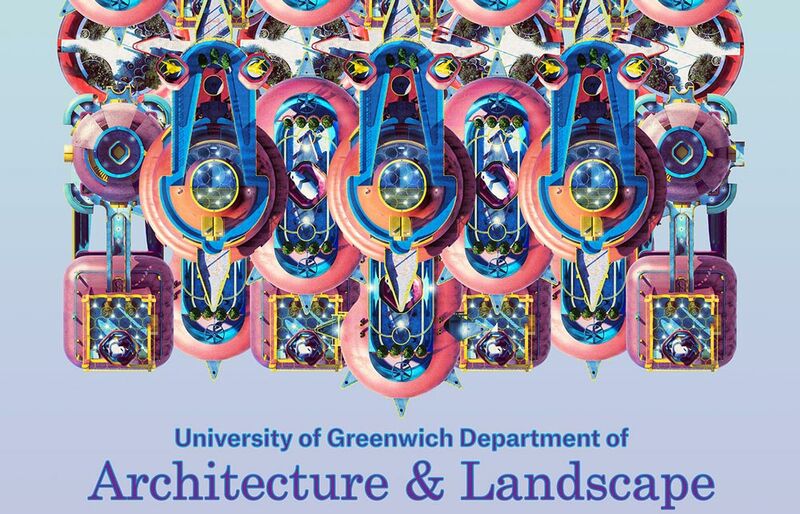 As External Examiner for the University of Greenwich MArch Architecture course Justin spent two days reviewing design portfolios, technical reports and dissertations of this year’s graduating students. The exceptional standard of work is testament to the talent and hard work of both students and staff. Thanks to the legendary academic Professor Christine Hawley for co-examining and to architecture mavricks Simon Herron and Neil Spiller for the invite. 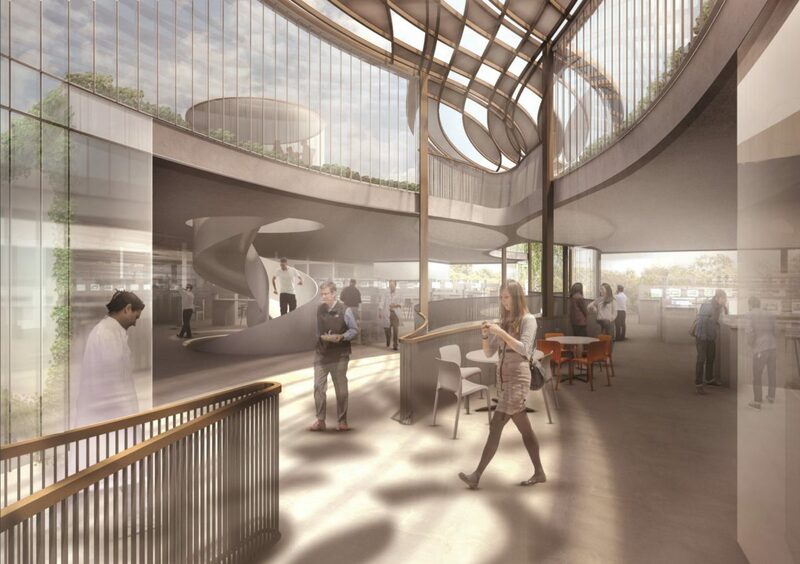 Following the success of their competition exploring the Future of Work with The Architects’ Journal, The Crown Estate has appointed Fathom to design co-working, office, leisure and retail proposals on four buildings within their central London portfolio. The projects, which are all within conservation areas and incorporate a Grade II listed building, will rationalise and rejuvenate their existing stock to meet future demands. 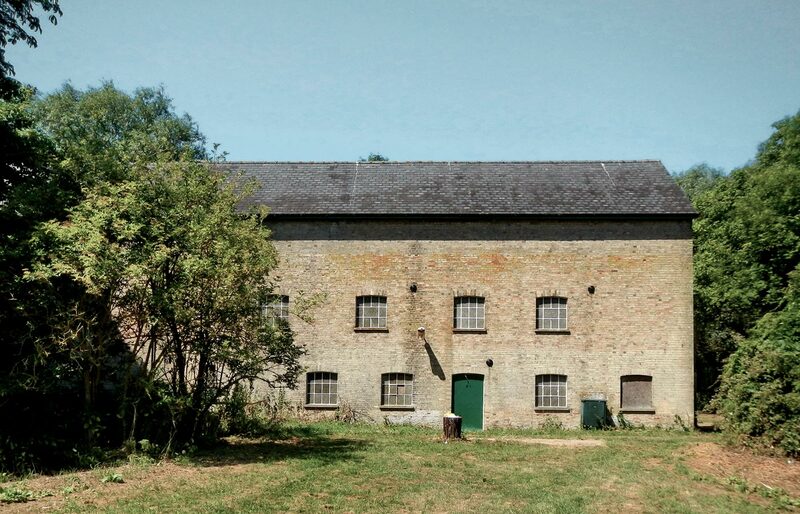 We’ve been appointed by o2h to re-develop Hauxton Mill, a 19th Century Grade II listed water mill in Cambridge, into a cutting-edge Life Science campus and tech start-up incubator, providing research facility, co-working spaces, a cafe and a new state of the art laboratory building. For more details, click here. 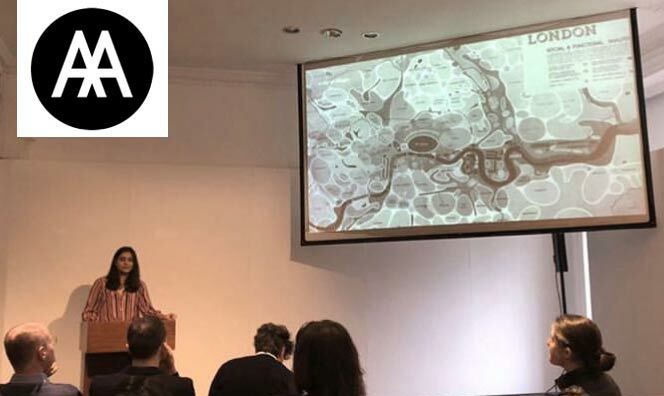 UCL’s The Bartlett School of Architecture Unit 20 postgraduate Architecture MArch students end of year crits again provided the usual excellent array of thought provoking proposals. The unit is tutored by Marcos Cruz, Marjan Colletti and Javier Ruiz with assistance from Fathom’s Justin Nicholls as Design Realisation tutor and Maria Villafañe, Atelier One as Structural tutor. This year’s theme was Constructing the Avant-Garde with projects located in St Petersburg and Moscow. Designs ranged from rammed earth vegetable markets, driverless car hotels, modular 3D printed homes and a partially sunken submarine research centre. The end of year show opens on 23rd June. For more details, click here. Huma has created a fun graphic to draw focus to a very serious problem: discrimination, harassment and bullying in the workplace. Our industry has a long way to go to clean up it’s act and Fathom, as a new practice, is committed to equality, diversity and stamping out negative culture and behaviours. For more information about the campaign, Richard Waite wrote a good article in the AJ. To register support for the LFA’s campaign. 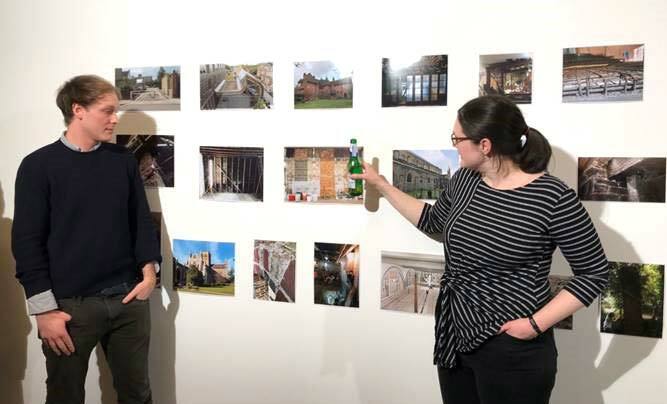 Last night Harry co-judged the first Civic Engineers Photography Competition at their fantastic new office space in Reeds Wharf. A great selection of photographs in two categories: People and Places and Civic Engineers projects, not to mention a collection of lovely structural sketches to boot! View the winners here. 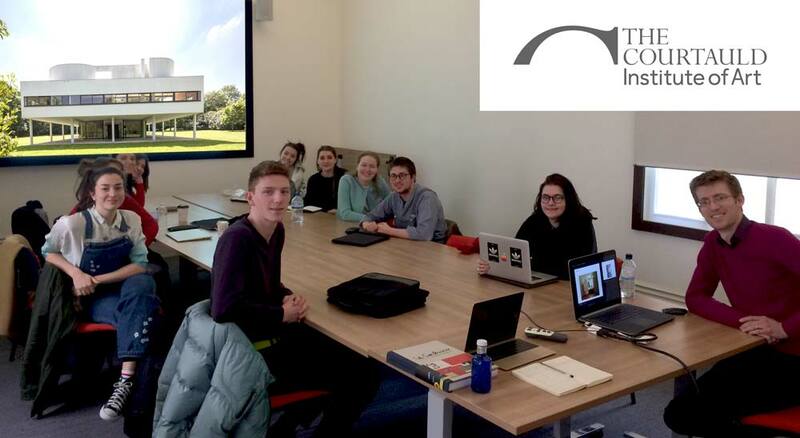 Jonathan shared his enthusiasm for Le Corbusier in a seminar to BA Art History students at The Courtauld Institute today. Invited by Dr Caroline Levitt, Jonathan discussed Corbusier’s 5 points for a New Architecture as demonstrated in the Villa Savoye. They then analysed his use of concrete as both a contemporary and future material. To contextualise, Jonathan then took the students through the design and manufacture of the Pod, highlighting the use of innovative materials and techniques, to give an idea of the design process and the work of a contemporary architect. 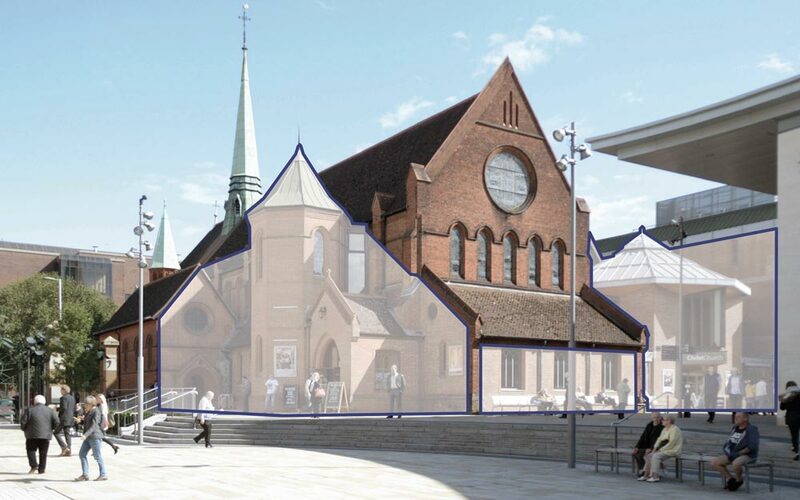 Following a three-stage design competition, we are excited to have been selected to reconfigure a prominent Grade II listed church complex in the heart of the fast developing Woking town centre, creating a more welcoming and relevant facade with a series of striking contemporary extensions. 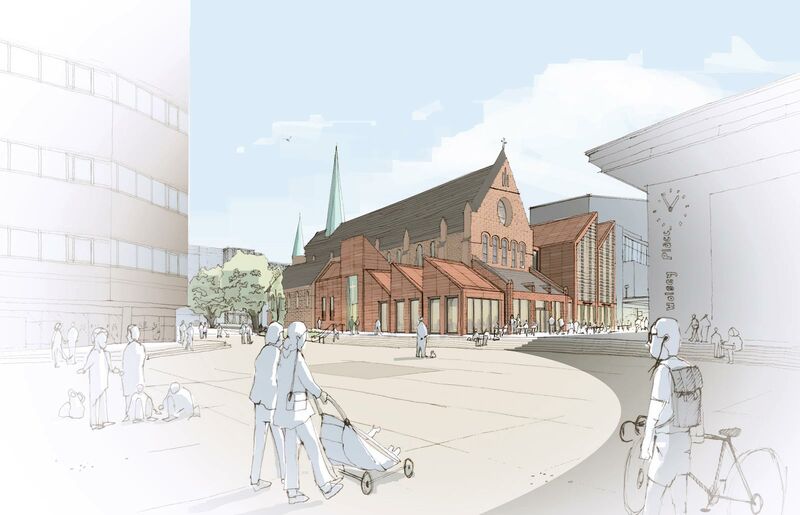 The brief was to re-evaluate the church and its community functions to encourage engagement, and create a stronger connection with the surrounding public spaces. Our approach distinguishes the various functions of the mission and establishes a modern architectural language which complements the listed church. We are currently developing the final design and will submit for planning in 2018. Read more in Projects. We’re delighted to show off Fathom’s new studio that we will be moving into in the New Year. A fantastic light space in an old school building close to both London Bridge and Bermondsey Street. We cannot thank Watermans enough for their kind support since launch, allowing our practice to grow in their office. This new studio provides us the room to continue expanding the practice, facilitate model-making, research projects and throw the occasional party. 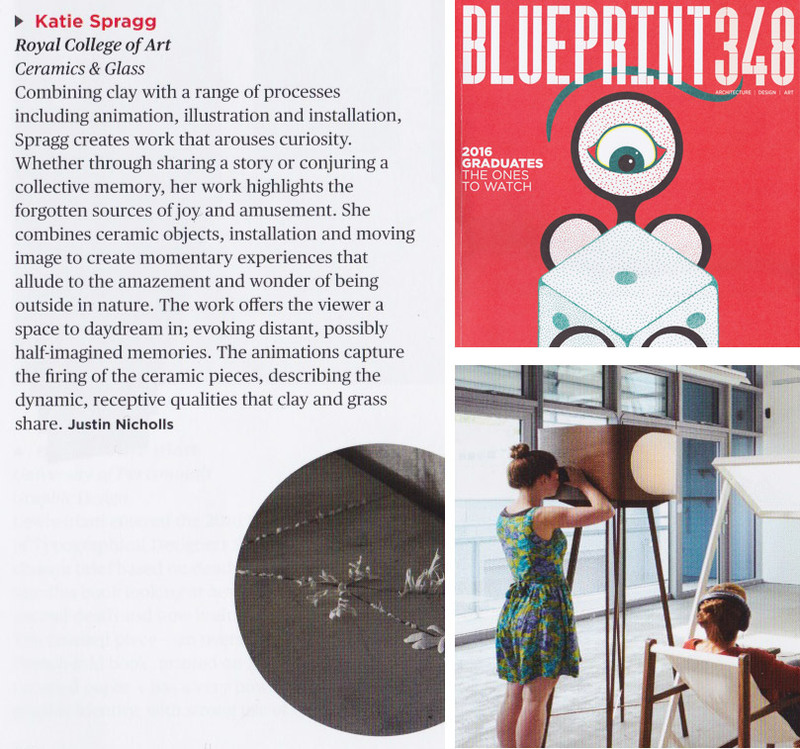 Having reviewed and loved Katie Spragg‘s graduation show at RCA for Blueprint Magazine in 2016, we were delighted to hear she was crowd funding a new community clay studio in Bermondsey, Collective Matters, with fellow artists Eva Masterman and Mary O’Malley. We were keen to support. 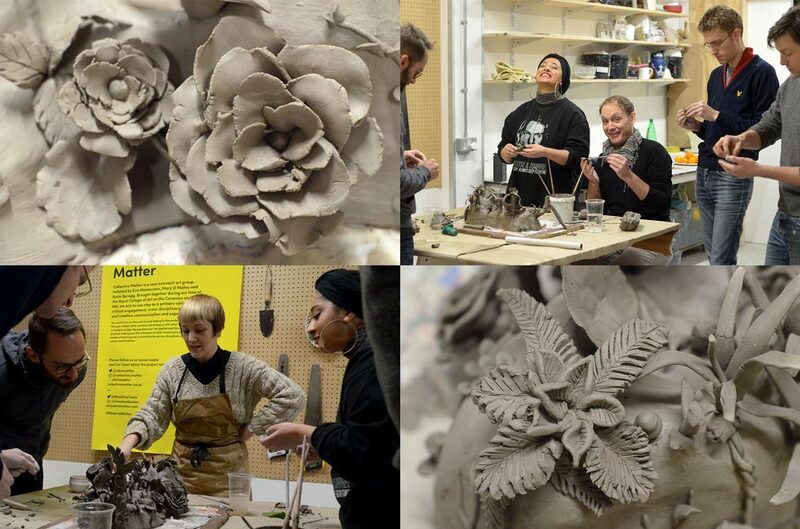 Now up and running, Eva kindly guided the Fathom team through an afternoon of flora-inspired claywork. It was highly enjoyable and a surprising creative release, helped along by mince pies and mulled wine. Thank you Eva. Steamed wood, self-eroding structures, re-engineered fish, nuclear fission and out of this world pavilions. 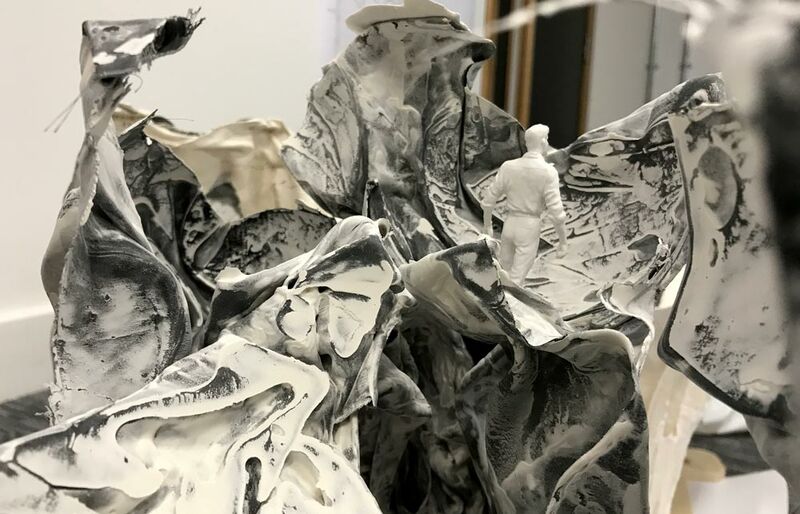 This year’s second and third year undergraduates at The Bartlett School of Architecture, UCL were joined by Justin Nicholls and Professor Nat Chard and Andreas Komer for this term’s Crits. The work of Unit 11 focused on Otherworldly. Students reimagined our relationship with nature by considering how our world could be reset – references including Jules Verne and animator’s Studio Ghibli helping to loosen the mind. Unit 2 focused on high density. Using the latest algorithmic digital tools, students investigated how density at material, building and urban scale could change our environment. This was combined with the more traditional analogue methods of making such as model making and material studies. Many thanks to Unit 2 tutor Aleksandrina Rizova for the invitation. Digital Construction Week is the only UK event dedicated to digital construction, engineering, design, manufacturing, and operation – new and future innovations shaping our industry. 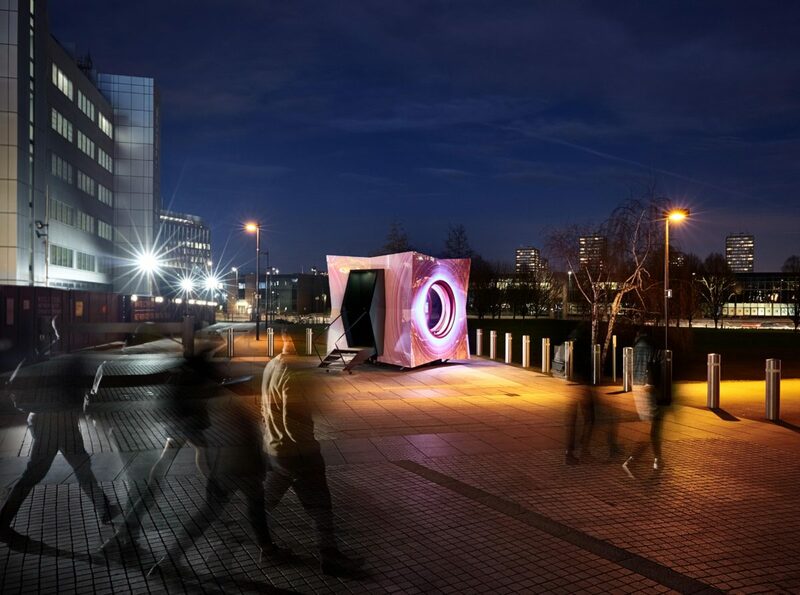 Thanks to the kind support of Stanhope, The Pod relocated from its home in White City Place to ExCel London for the event. Proudly rubbing shoulders with the robots from The Design Computation Lab of The Bartlett, UCL, the HS2 Hub Pavilion and DCW’s own Drone Drag Racetrack, The Pod became a must see talking point, as well as the conference’s official recording studio. GeoSlam’s point cloud scanner loved it (see image), Justin gave a talk about digital vs traditional processes in relation to the project and the Fathom team were on hand to discuss working cluster ecosystems and The Pod as a metaphor for these. Podcast interviews recorded by key speakers during the event will be available soon from Digital Construction News. Brighton & Hove Design Place Review Panel has hit the ground running in it’s inaugural year. 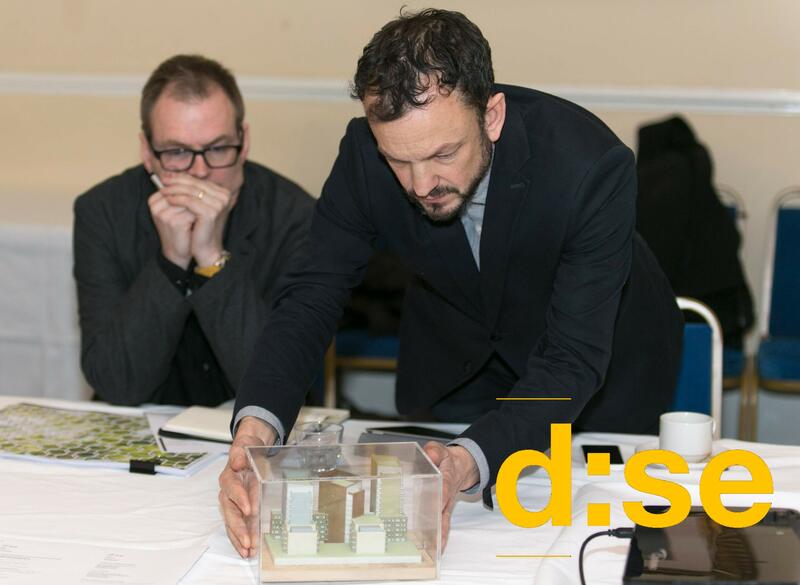 As part of the panel assembled by Design South East – DSE, Justin has reviewed a number of major planning applications, the first of which are now being consented, including First Base’s Anston House. Justin and the panel have led design charrettes with the borough and local stakeholders to assess development plans for the area. He has also spent time with the DSE team and it’s Trustees helping develop it’s strategy for the future. 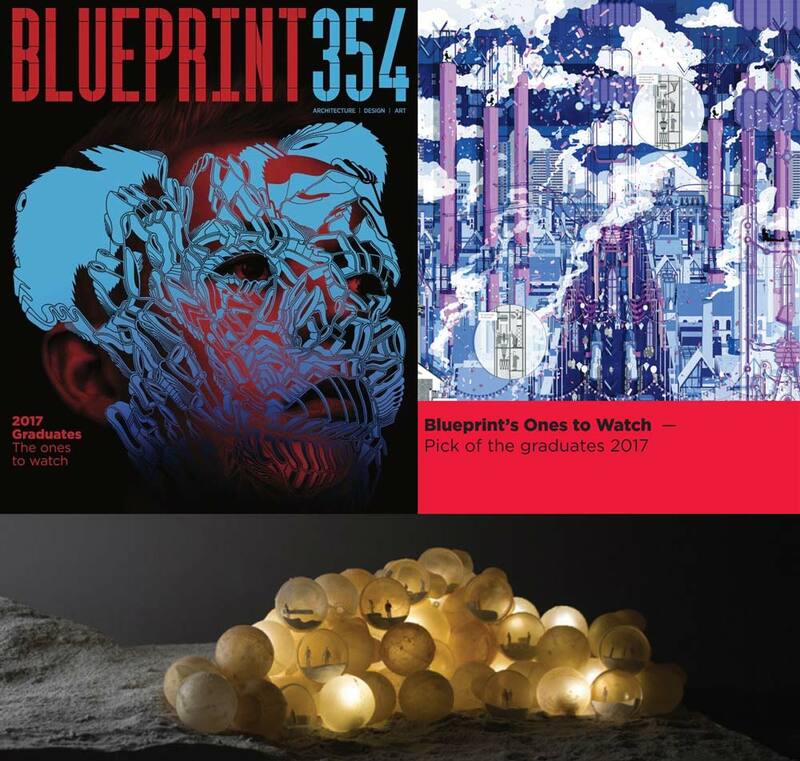 For a second year, Justin was invited to judge Blueprint Magazine’s Ones to Watch – a review of the year’s best graduates from the UK’s design schools. 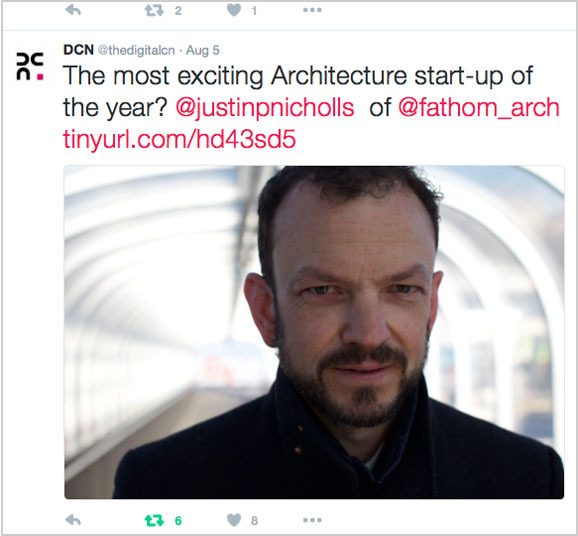 This year, Justin focused on The Royal College of Art and The Bartlett School of Architecture, selecting six striking and thought-provoking projects include Vycle – a bike powered lift, Sembler – an automated production system for dwellings and an elegant reimagining of a Mayfair church incorporating retail, recycling and a museum. Judges were drawn from practices including: IF_Do, RCKa, Wright & Wright, Featherstone Young, Conran + Partners, Studio Octopi, Feilden Fowles. Read the full article. The Pod will be making a guest appearance at Digital Construction Week, 18-19 October at London ExCel. 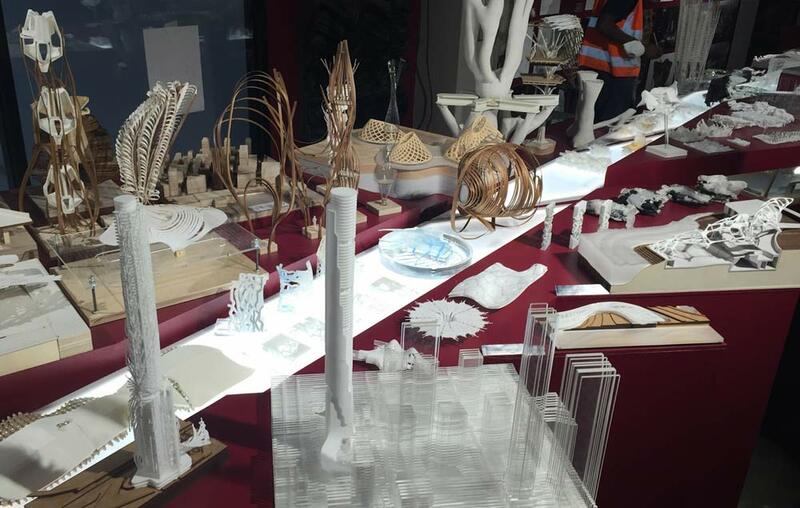 From drone races to VR/AR demos, 3D printing and robotics, this year’s DCW exhibition offers a chance to get to grips with the pioneering technologies and processes disrupting our industry. Meet the teams behind the tech, as they demonstrate how their innovations will revolutionise the way we work, offering hands-on demos, advice & real-life project insights. The Pod will be bringing live podcast recording to this year’s event. Throughout the show thought leaders, industry innovators and visitors will be invited to step inside to have their say about the digital transformation of their industry. 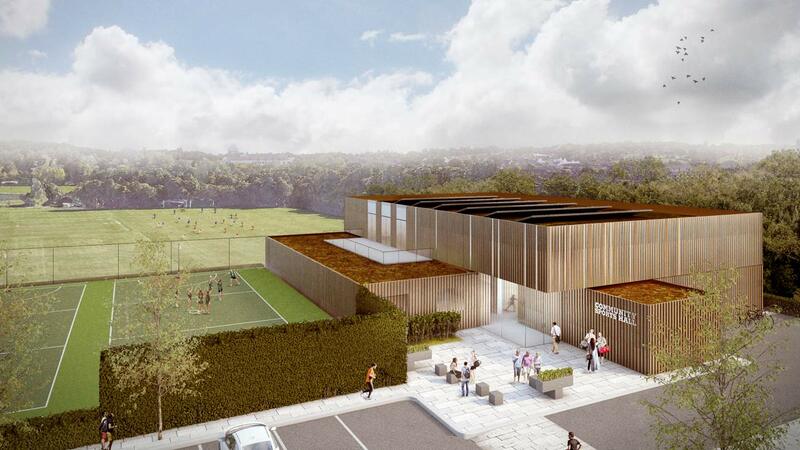 We’ve submitted a pre-app this month for a new 17,800 sqft community sports centre for Maccabi London on a green belt site in Barnet, to house a multi-use facility with courts for futsal, netball and badminton. The location has demanded a sensitive approach to both massing and façade design. The external skin responds to the landscape with vertical timber slats interspersed with reflective metal fins to draw light and animation into the façade. dn&co and Thoughtstarters have been busy podcasting at White City Place. Recent guests include renowned writer, broadcaster and historian on architecture Tom Dyckhoff, Google exec Nishma Robb , and Vicky Richardson former Director of Architecture, Design and Fashion at the British Council. Both Jonathan and Justin were Professional Examiners this year for the University of Westminster’s Architecture Postgraduate Diploma Professional Practice (RIBA Part III) – the final gateway to becoming a chartered architect. An opportunity for them to share some of their combined 40 years of experience in the industry! Candidates from a range of practices including Allies & Morrison, Tate Hindle, Eric Parry Architects and Guy Hollaway Architects were interviewed to ensure they met exacting standards of the ARB, RIBA and the university. Some very interesting work was presented – congratulations to all those who passed. Justin has been selected from Design Council CABE’s list of Built Environment Experts to join the newly formed London Borough of Brent Design Advice panel. The panel’s objective is to support Brent in achieving its aim of regenerating its built environment and enhancing the quality of life of its residents. The panel will review development proposals and masterplans, as well as provide other design support services to the planning and development process. 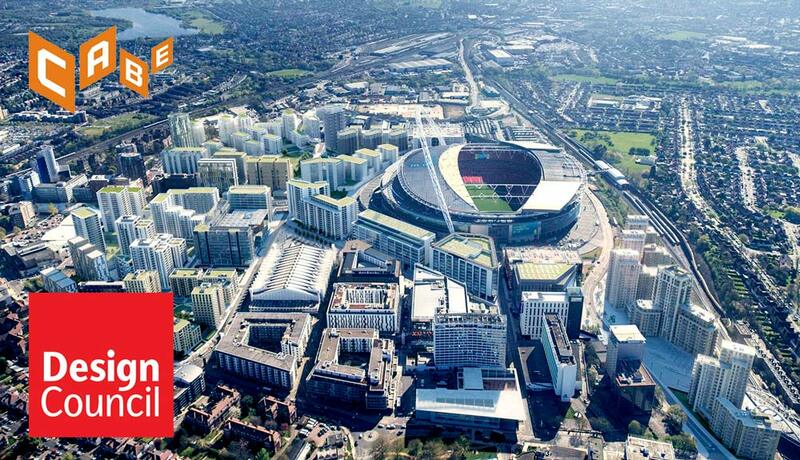 Key development areas include Wembley Park which encircles the iconic Wembley Stadium, Wembley High Road and Alperton. 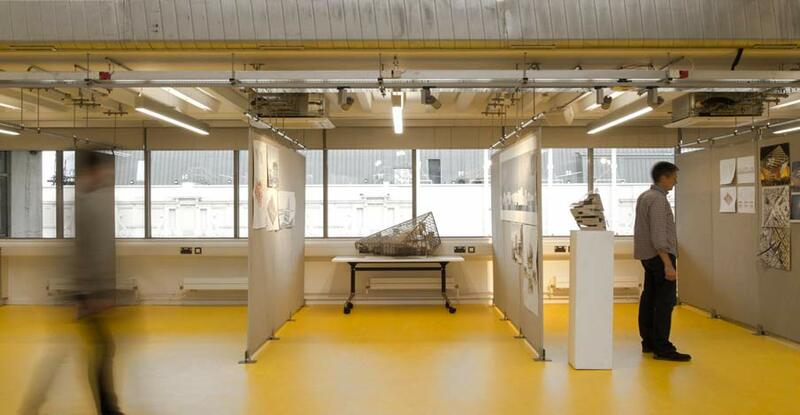 The Show Opener’s Prize, awarded this year by renowned designer Ross Lovegrove, went to Unit 20. This is the 10th year that Justin has tutored the Design Realisation module for The Bartlett School of Architecture’s Unit 20. Congratulations to all – a well earned achievement. Welcome back Huma Mohyuddin, fresh from completing her Part II at The Bartlett. Huma worked at Fathom last summer and before that with Hawkins/Brown supporting the delivery of Crossrail, Huma creates beautiful hand drawings for our conceptual and interior work as well as digital modelling. We are very pleased to also welcome Adam Clemens this month, who joins us following experience on The Watershed development in his native Cape Town, and West Grove South residential development in Elephant & Castle with Panter Hudspeth for Lendlease. Adam brings a fresh design perspective and valuable BIM experience to the studio. We’re thankful to have Harry back safely after his trip to Sichuan Province, China. With friend Yiping, Harry won the James Phillips Foundation Travel Award 2016. 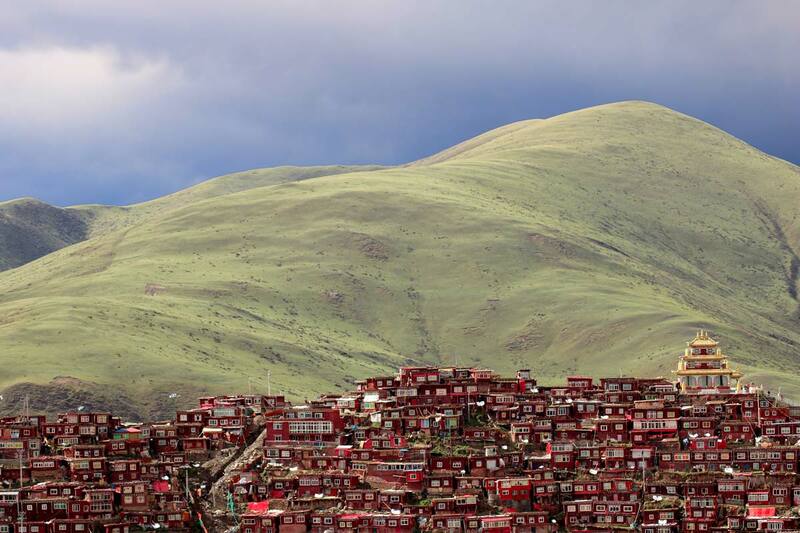 Their aim was to document the urban sprawl of Larung Gar, the world’s largest Tibetan Buddhist Academy, deep in the Himalayan foothills. Armed with cameras, a drone and plenty of pluck, it was a race against time, as modernisation by the Chinese government is quickly changing this Academy forever. Their trip was a success, even if they did see the inside of two Chinese police stations. Watch out for notices of their upcoming exhibition. The Pod has been shortlisted for the NLA Awards in the Meanwhile category for projects that embrace the city as a work in progress, enlivening spaces, places and high streets over a short-term period, while supporting long-term ambitions. A great piece of community placemaking by our friends at dn&co. We have been overwhelmed by the reception The Pod has received in the press and by our peers and even taken requests for replicas – look out, may see a Pod near you. 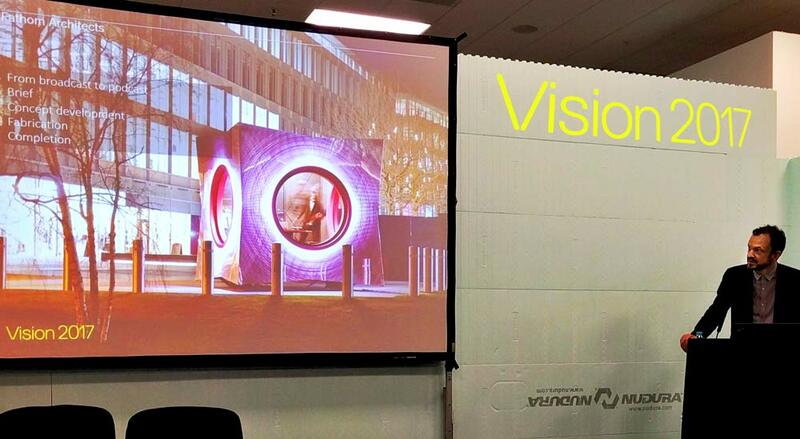 Vision London 2017, held at Olympia London this week, showcased innovative products, case studies, and ideas for future materials, structures, places and cities. As guest speaker, Justin used The Pod, packed full of innovation, to highlight progresses in the industry: from our use of the ipad to rapidly sketch ideas and produce scalable freehand contract drawings, the use of coding to translate the spoken word into a finely tuneable interference pattern and then into 350,000 individual pixels on the facade, to the benefits of full fabrication and commissioning off-site. Justin welcomed expert coder Will Pearson of Format – who assisted on The Pod’s scripting – to help field questions from the audience. Fathom has gained planning permission for a mixed use development of Wilbury Grove Mews, within the Willett Estate Conservation Area in Brighton. The scheme will provide four apartments and offices – see Projects for more details. 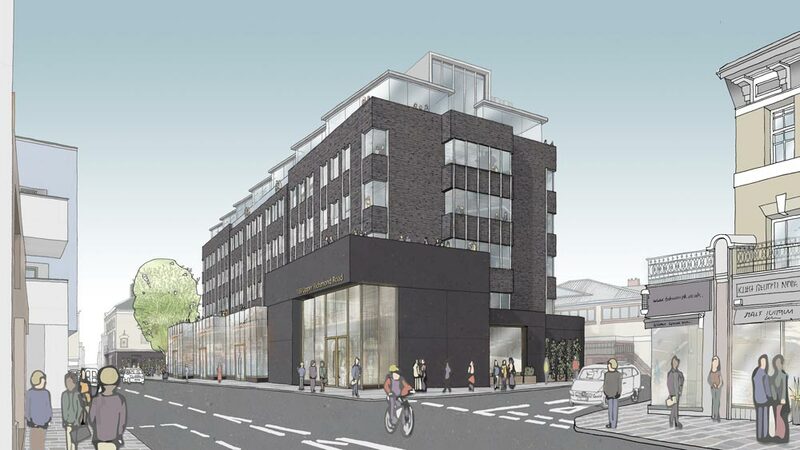 We have been commissioned by Ocubis to reconfigure an existing office development in Putney dating from the 1980’s, to provide additional area and improve the building’s relationship to the surrounding streetscape. Our approach re-purposes the building by creating an articulated façade using a palette of dark brick, and adding two floors topped by a lightweight glass structure, increasing the area by 2,000 sqm. At ground level, a series of stepped retail units animate the street, and a courtyard garden softens the pedestrian approach. How can Conservation Areas change and develop in the 21st century? 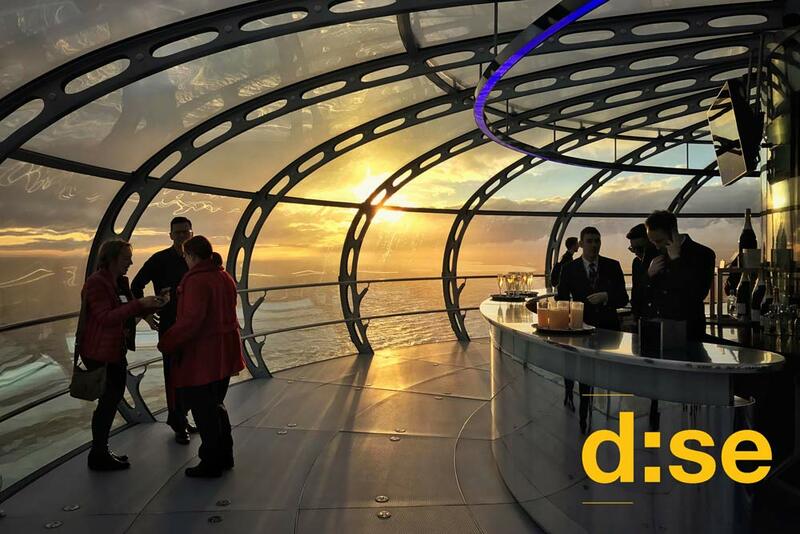 On 20th March 2017, around 80 people gathered in the seminar space of Brighton’s i360 to debate 10 critical issues for the future of Brighton and Hove. Coordinated by Design South East, Justin led a round table charrette with members of the local authority, amenity groups and fellow architects focusing on one of these ten issues: ‘How can Conservation Areas change and develop in the 21st century?’. The debate focused on how areas can accommodate much needed homes and employment whilst retaining their inherent character. Find out their conclusions to this and the other nine questions of the day in the DSE report. Congratulations to the team led by Harry Godfrey for making it to the shortlist in Arup’s Circular Economy competition. 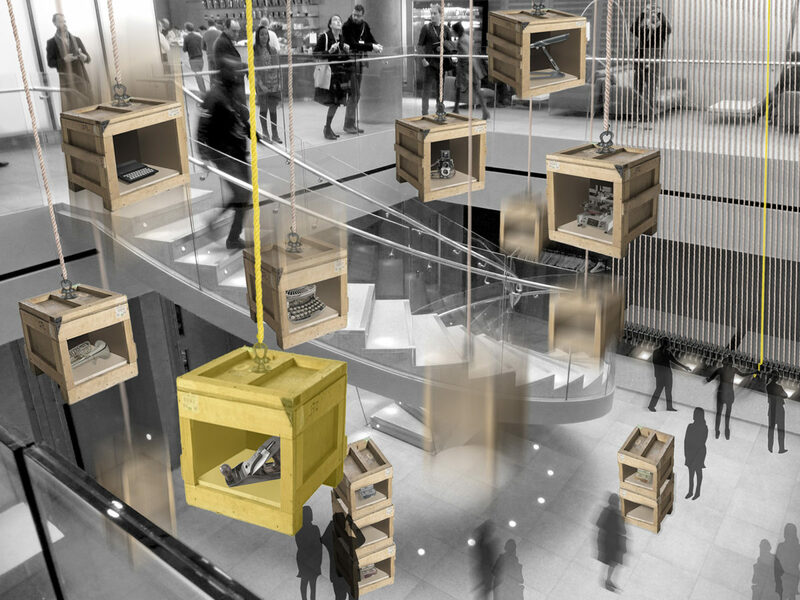 The Living Library will transform Arup HQ’s atrium into an interactive object library, offering useful but underused items in a series of display cases suspended on pulleys. The installation promotes sustainability in the workplace by encouraging Arup employees to borrow and lend objects rather than purchase new. Our first built project has just arrived outside Stanhope’s new White City Place. It is a mobile podcasting studio where Thought Starters is being recorded: a carefully curated season of one-on-one conversations between thought leaders in the creative industries. The Pod will also be available for the public to record their own podcasts. Its first occupiers were The QI Elves, who record a regular podcast ‘No Such Thing As A Fish’. Responding to a brief by our friends, creative agency dn&co, The Pod is already picking up interest within the design community: Wallpaper, Design Week, Curbed so far this week. Find out how we used radio’s first broadcast words to create the facade of this unconventional build on our brand new Project page. It is with great pleasure that we welcome Harry Godfrey to our team. Justin first spotted Harry’s talent in 2009, when he tutored him at The Bartlett. 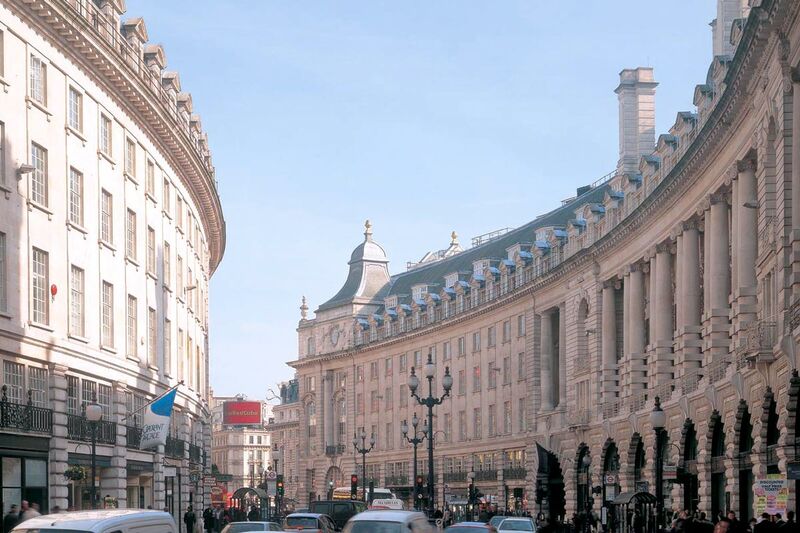 More recently, they worked together on The Crown Estate’s prestigious St James’s Market scheme with Jonathan. Harry finished his part III in 2015 and brings real creativity to the team. 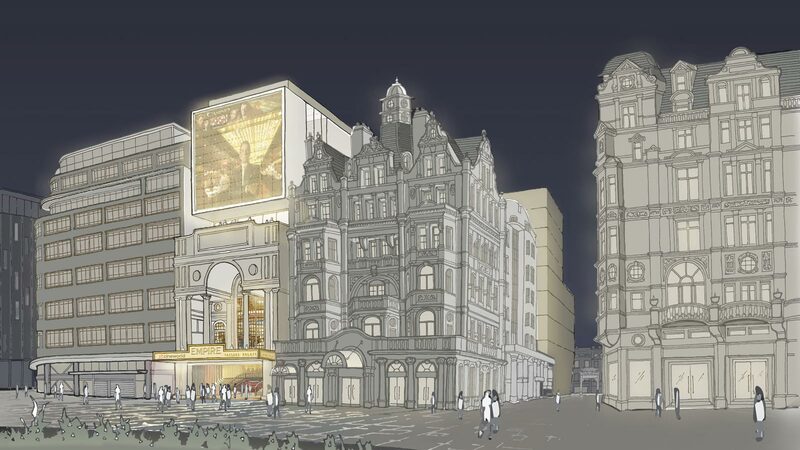 We’re lucky enough to be work with London & Regional on an exciting concept design for one of London’s iconic entertainment venues, The Empire, Leicester Square. The site is a complex amalgamation of buildings contained within in an urban block, linked to eleven listed buildings, and only 15m of primary street frontage. Our scheme addresses how to create maximum impact at street level, and provide a coherent mix of uses including cinemas, a casino, hotel, office and restaurants within an eight-storey volume plus a 35m deep basement. At Buro Four’s annual drinks last night, the company announced their Ones to Watch – a campaign which celebrates emerging design talent across the industry. 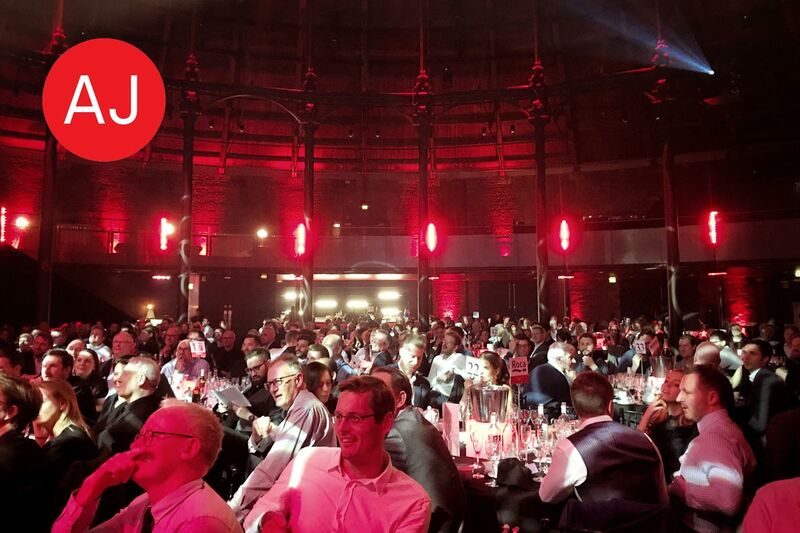 A shortlist of five practices was drawn up based on nominations and votes by fellow design and construction professionals, and we’re very happy to say that Fathom Architects made the cut. Each shortlisted practice was invited to exhibit at the reception, and we would like to extend a big thank you to Buro Four for their support. Mulled wines all round! 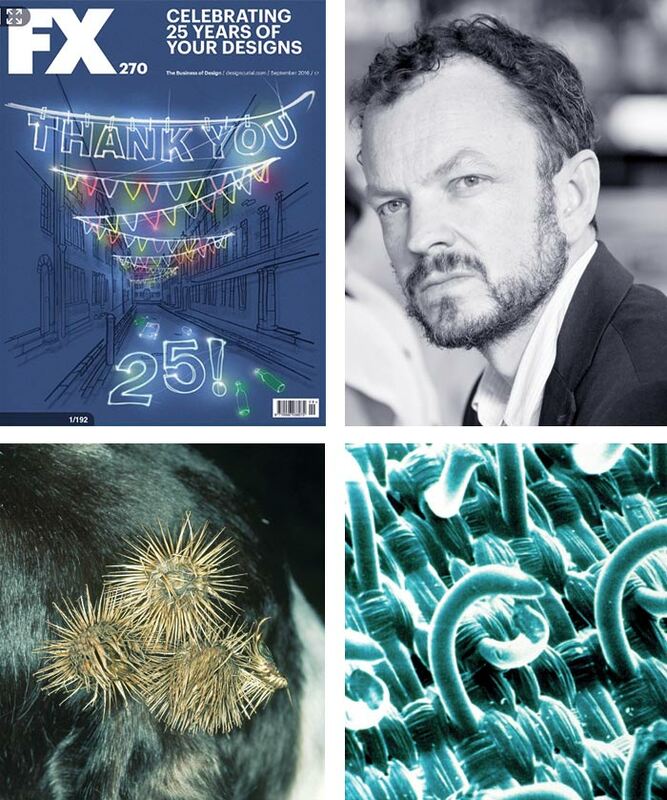 Justin was invited to judge two categories for the 2016 FX Interior Design Awards, celebrating with the winners at a glamorous ceremony hosted by comedian Simon Evans at Grosvenor House Hotel on Wednesday 30 November. Justin was asked to review the work of this year’s graduates from RCA and UCL Bartlett. Some great work was on show this year. He was particularly impressed by the dreamy, natural-world-inspired ceramics of Katie Spragg. Biomimicry – technology modelled on nature – is all around us: the sharkskin swimsuit, termite climate control, whale power, butterfly displays, Velcro, aircraft wings. 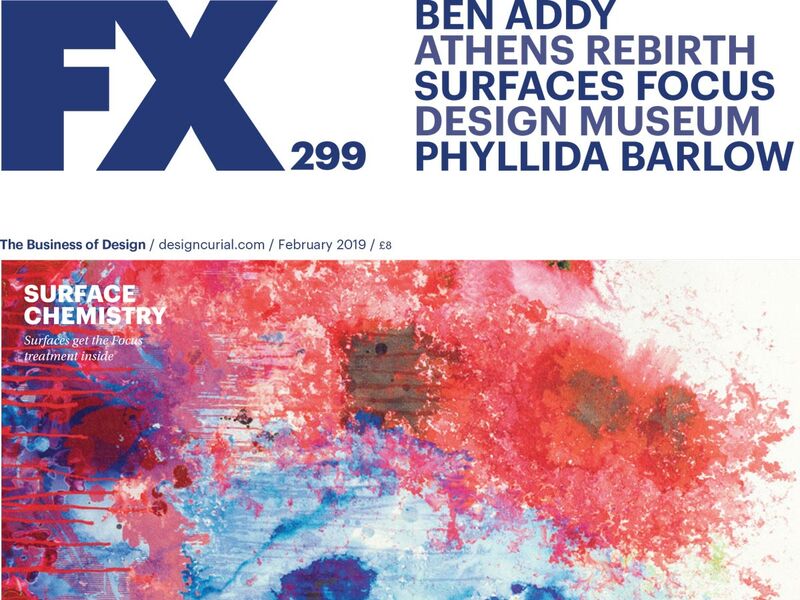 As advances in digital manufacture make applying the lessons learned from nature ever more achievable, FX Magazine marked 25 years by bringing together industry thought leaders to discuss opportunities in architecture. Our new partner Jonathan Mitchell joined us this week, fresh from completing The Crown Estate‘s new St James’s Market scheme. Era Savvides joins too from Arch-T, specialists in digitally fabricating detailed architectural facades and sculptures. Era takes our digital design and manufacture knowledge to a new level – see her experimenting with 7-axis milling. Welcome to Fathom guys. We’re happy to have you here. The most exciting architecture start-up of the year? Digital Construction News interviewed Justin as part of their series of talks with industry leaders who are embracing future trends. 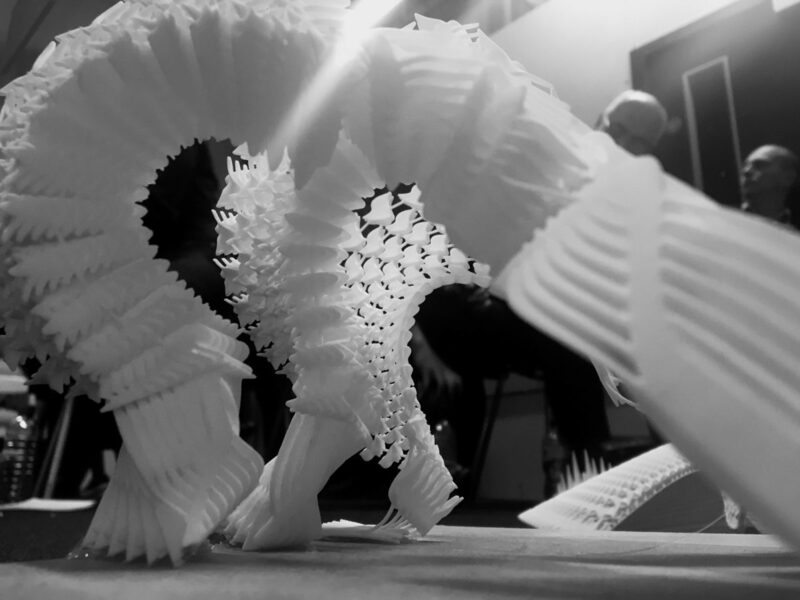 The interview explores the unfolding fields of robotics and digital fabrication and how these can be embraced by a new practice. An interesting read, but their tweet did make us blush! Justin was invited to join Curtins at the Institute of Structural Engineers to present a tour of concrete past, present and future; from the thin concrete shell structures championed by the likes of Felix Candela & Ove Arup in the mid 20th century, to present and future applications using modern milling, moulding and digital fabrication. In front of a wide cross-section of the industry, the panel discussed the use of concrete both structurally and decoratively, from entire buildings down to the furniture that inhabits them. 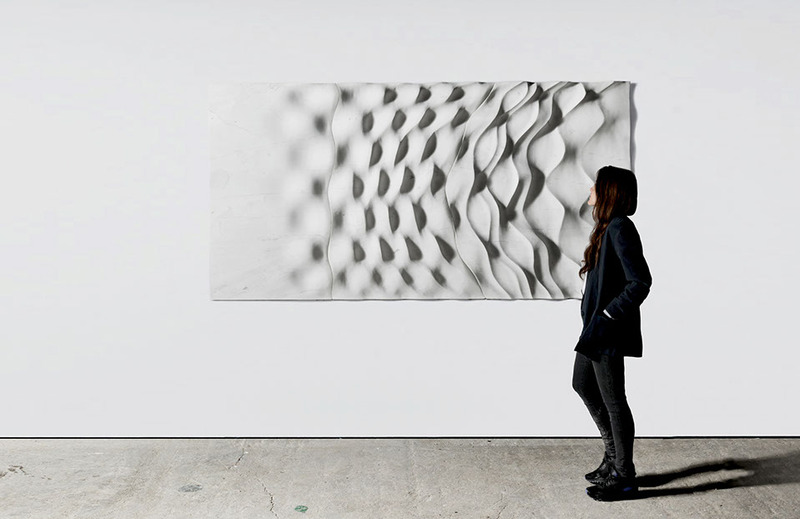 It’s clear we are only held back by our imagination, with modern techniques now making possible what had become prohibitively expensive to create: the ability to lay thin, lightweight concrete over a contoured 3d printed scaffold rather than elaborate formwork allows exciting shapes to be created quickly, efficiently and cost-effectively; developments in lightweight concretes mean less load, less structure, less foundation, less transportation; precast panels reinforced with 3d woven fabrics allow lighter, finer facades. All helping our drive to sustainability and keeping concrete a valid material for the future. For inspiration, check out the 76m spanning concrete shell roof at Smithfields Poultry market, said to be the largest ever built, which is only 76mm thick across much of its breadth or the beautiful ornamental precast facades at Kings Cross. 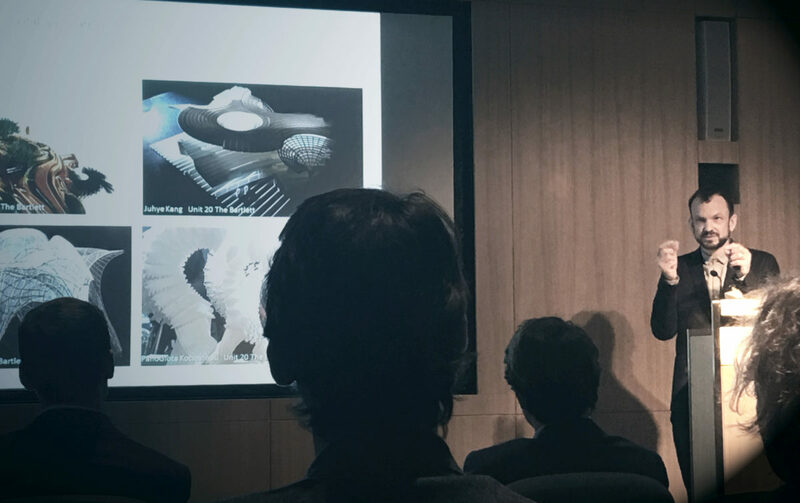 Justin was one of the invited panel for The Bartlett (UCL) MArch Architecture Unit 20 crits on 20 May, lasting a marathon 10 hours! This year the unit investigated the implications of people’s mobility, travel and communication, with projects ranging from Church Mosques in Rwanda to a full-scale wall mock-up constructed from felt embedded in concrete and glass. As a Design Realisation tutor for the unit, Justin was excited to see how the technical studies had evolved into the final design concepts and proposals. As usual, the quantity and quality of work was breath-taking. On day eight of Fathom, Justin and Tom presented the first design scheme for development/fund raising for a new multi-million pound building. We started with the client’s reference of The Hanging Gardens of Babylon! A big thank you to the team for their hard work. 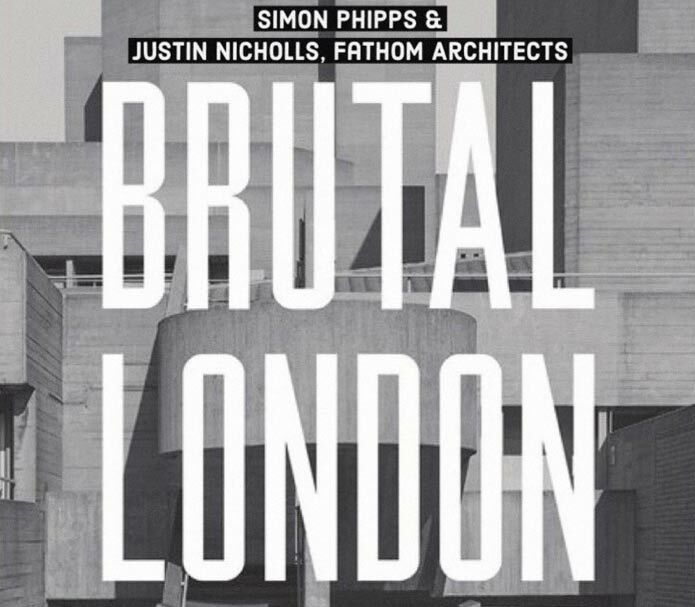 Murray Fraser and Justin Lau – tutors for BSc Arch Unit 0 at the Bartlett School of Architecture, UCL – invited Justin Nicholls as one of their guest critics for the end of year crit alongside George Epolito, Mary Johnson, Jack Newton and architectural historian Jonathan Hill. 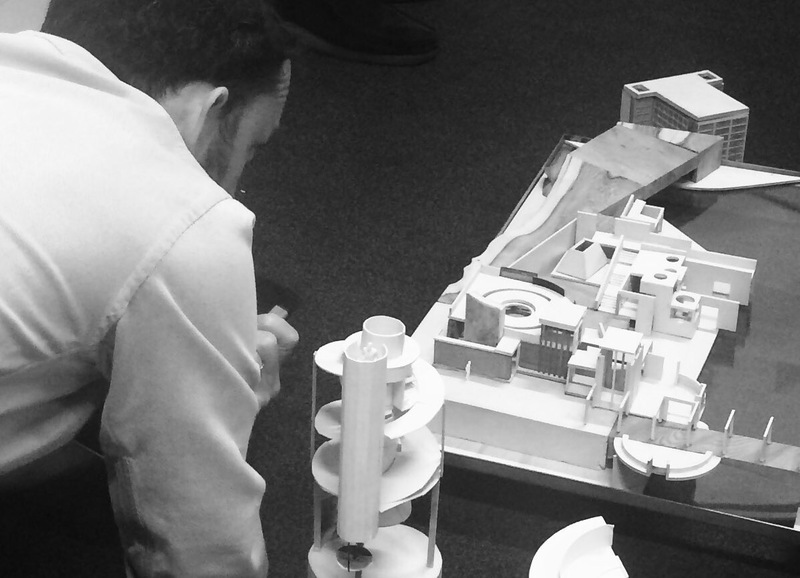 Exploring notions of softness in architecture to create buildings and uses which enhance urban and cultural interaction, the students had developed a number of innovative building typologies for London including a nutrition school and slow sports club. 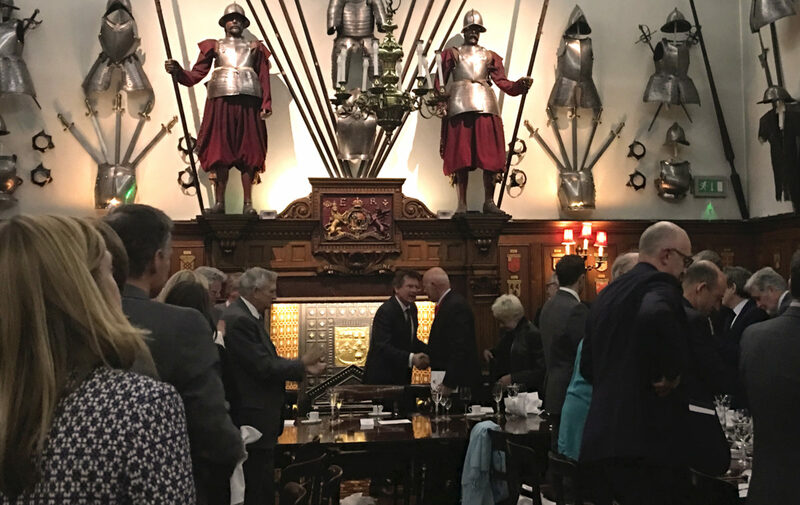 We are very excited to welcome our first mentee to Fathom, through the scheme established by the Worshipful Company of Chartered Architects. Kate will be guided through her studies towards RIBA Part III qualification from May 2016, with Justin providing support and advice on practicing as a qualified architect. 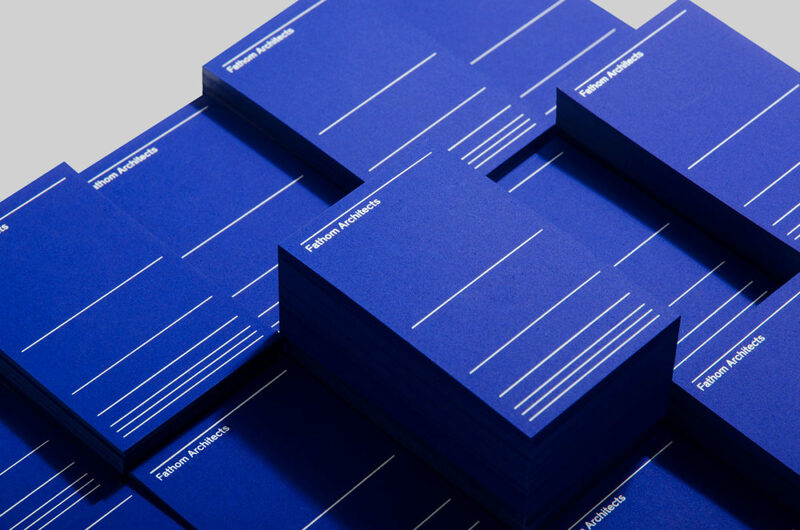 Fathom launches with an identity developed in collaboration with design agency dn&co, communicating the practice philosophy of pushing thinking beyond expected architectural solutions. dn&co created a brand name and identity which plays with two meanings of the word ‘Fathom’: as a human-scale unit used to measure depth, and the deeper understanding of a difficult problem, whilst the minimalist identity delivers a bold reductive visual strategy to provide a strong platform for our approach. 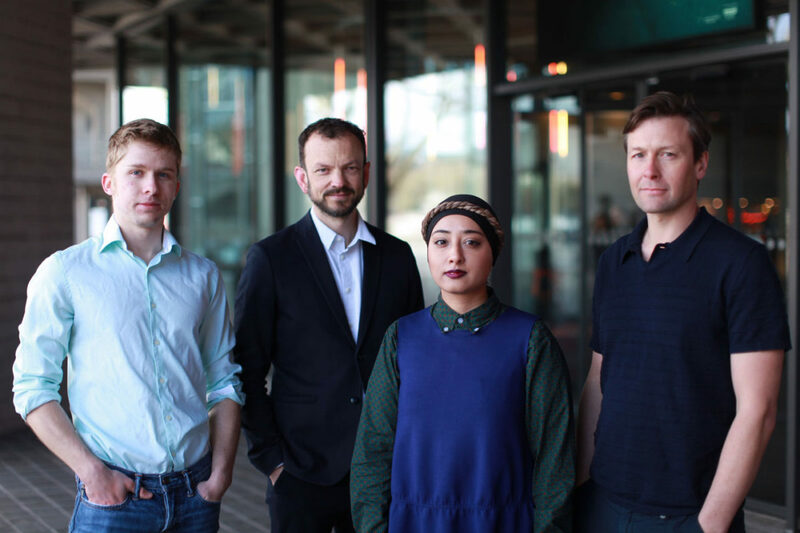 On 4 May – also International Star Wars Day (no coincidence) – Fathom Architects launched as a collaborative research-led design studio, based in London Bridge. 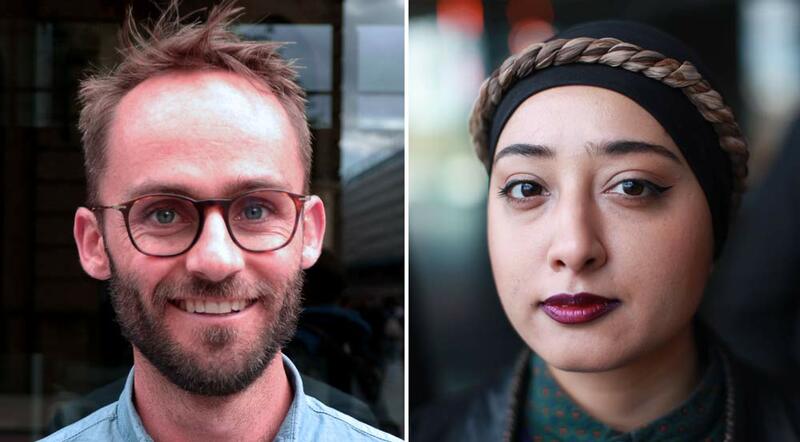 Architect Justin Nicholls and creative producer Tom Shard are joined by architectural assistants Oliver James and Huma Mohyuddin, working on a number of sites in London and the South of England.